It's home improvement season and one of the hottest home upgrades this year is the Smart Home. However, a Smart Home takes a lot of expertise to design, install and configure on your own. You'll need to select the right devices, install and wire them, connect them to your network, and troubleshoot any issues. That's if you're going it alone, that is. The good news is that you don't have to. We have a nationwide network of Smart Home Service Providers who can upgrade your home in an afternoon. This means that you can enjoy the benefits of the Smart Home – convenience, security, energy savings and more – quickly and easily. Here are five common challenges that a Smart Home pro will tackle for you. While the ‘go it alone' Smart Home experience start with a confusing trip to a retail store, a professional service starts with a holistic look at your home and your needs. 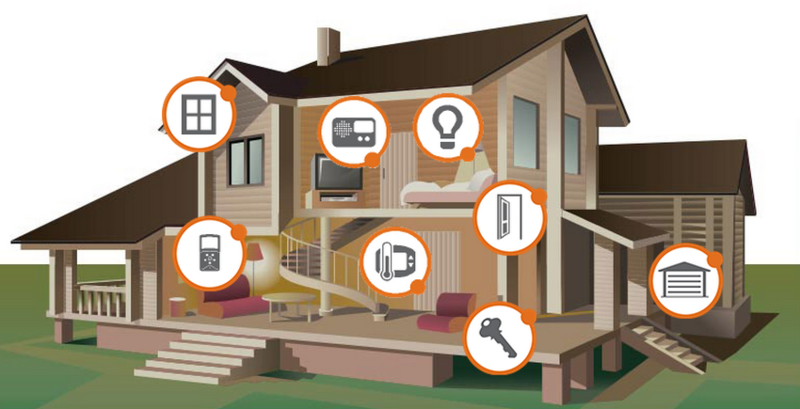 Alarm.com Service Providers know Smart Home solutions inside out and can quickly recommend the right setup for your home. They will walk you through choices and answer all your questions to help you create a Smart Home that's customized for your home and individual needs. A professional can quickly wire smart thermostats and alarm panels, wire outdoor cameras, replace light switches with smart lighting and swap old locks for smart locks. They'll also get you set up with our easy-to-use smartphone app that controls everything and keeps you connected to your home so you get the most from your system. Getting your equipment in place is only half of the job. For a Smart Home to work, your devices need to be configured to recognize each other and talk to each other. When you're on your own configuration can result in the most frustration (and foul language) for a would-be Smart Home owner. We provide our dealers with the technology to help them quickly add devices to your network and ensure that they all work together. When something goes wrong with a connected device you bought at retail, you can look forward to many hours of Internet research to troubleshoot the problem. When you go ‘pro', however, you can call your local Alarm.com service provider, and they can get things solved quickly. In addition to having access to experts, Alarm.com designs its technology with tools so our service providers can quickly troubleshoot what's happening and rapidly solve the issue. Many connected devices tout security as a feature, but not all security products are equal. At Alarm.com, however, security is our heritage. All of our Smart Home solutions are built to security industry standards, and are sold and serviced by Service Providers who include professional security monitoring. This means there is a dedicated secure connection to a 24/7 monitoring station and emergency response. If there's a break-in or fire alarm in your home, you get more than an alert: emergency response will be notified right away and help will be on the way. There's no substitute. So – ready to install your Smart Home the easy way? The first step is connecting with an Alarm.com dealer near you. Click here and get started today!